State Senator Tori Hutchison, Former State Representative Helen Satterthwaite, Cunningham Township Supervisor Danielle Chynoweth, Former Urbana City Mayor Laurel Prussing, Champaign City Mayor Deb Feinen. Thank you for supporting my re-election campaign. In my first term as your state representative, I have passed legislation to protect the Mahomet Aquifer, increase diversity hiring at public universities, and foster community engagement in the legislative process. I have stood strong against the attacks on our unions, working families, and social service programs that are a vital safety net to so many of our friends and family. There is much more to do but I am confident with your support of my re-election campaign together, we can continue this important and essential work of fighting the anti-union, anti-family agenda. Former Senator and Ambassador Carol Moseley-Braun holds a Bachelor of Arts degree from the University of Illinois at Urbana-Champaign, and a Juris Doctorate degree from the University of Chicago. She is a former candidate for the Democratic nomination for President of the United States, and has served her country as Ambassador to New Zealand and Samoa, United States Senator from Illinois, Cook County Executive Officer, Illinois State Representative and United States Attorney. She is the only African American woman to have ever served in the Senate. As Ambassador to New Zealand and Samoa, she was made an honorary member of the Te Atiawa Maori tribe, the first US Ambassador to be so honored. In 2007, she created Ambassador Organics™, a premium, Certified USDA Organic and Biodynamic food and beverage company. Ambassador Organics follows a triple-bottom-line business approach of financial profitability, environmental sustainability and social ethics. The company is located in the heart of inner city Chicago, and reflects her interest in creating jobs for women and ex-offenders for whom employment opportunities may be scarce. Her work has earned her 11 honorary degrees and more than 200 awards including the naming of a public school, Carol Moseley Braun Elementary, in Calumet City, Ill. The school team name is the Ambassadors. State Senator Tori Hutchison earned a Bachelor of English degree from the University of Illinois at Urbana-Champaign and a law degree from Northern Illinois University College of Law. Since joining the Senate in 2009, Hutchinson has placed a high importance on working to modernize Illinois’ antiquated tax structure, protecting women and children from violence and exploitation and supporting construction projects that create jobs while also maintaining Illinois’ position as an international transportation hub. Former State Representative Helen Satterthwaite was a member of the Illinois General Assembly from 1975 to 1993. For the last ten years of that period, she represented the 103rd District which covered primarily the cities of Champaign and Urbana. During her nine term tenure, she held a variety of posts in the Illinois House. Most notably, she was named Assistant Majority Leader in 1991. For the preceding eight years, she was Executive Chair for Education, being both the Chair of the Higher Education Committee and Vice-Chair of the Elementary and Secondary Education Committee. Before serving in the legislature, Satterthwaite had been employed by Gulf Research in Pittsburgh, Pennsylvania, DuPont Chemical in Wilmington, Delaware, and the University of Illinois in Urbana as a laboratory technician. She has been active in many organizations including the YWCA, Business and Professional Women, and the National Organization for Women. She has served as vice-chair of the Mental Health Center of Champaign County, as secretary and membership chair for the League of Women Voters of Champaign County, and as budget chair for the YMCA at the University of Illinois. She currently serves on the Executive Committee for the State Universities Annuitant Association at the University of Illinois and is a member of the Religious Society of Friends (Quakers). Born and raised in rural Western Pennsylvania, she received a B. S. degree in chemistry from Duquesne University in 1949. In 1950 she married Cameron Satterthwaite (now deceased). They moved to Illinois in 1961. She has 4 children, six grandchildren and six great-grandchildren. She currently resides at Clark-Lindsey Village, a retirement center in Urbana, Illinois. Former Urbana City Council Member Danielle Chynoweth is the Organizing Director at the Center for Media Justice, home of the Media Action Grassroots Network (MAG-Net). Danielle co-founded the Urbana-Champaign Independent Media Center and lead its purchase of Urbana's downtown post office building for conversion to a media and arts center. At the Prometheus Radio Project, she managed the successful campaign to pass the Local Community Radio Act. She served on Urbana's City Council for 7 years spearheading public arts, wireless, and broadband projects. She has presented on media in Thailand, Burma, and Italy, the United States, and as an Evans Scholar at Evergreen State College. She holds a Masters degree in Political Science from the New School for Social Research and sculpture degree from New College. She is momma to 4 year old Ezra Shine. 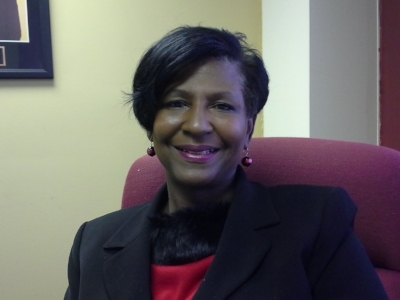 Former Champaign County Board Chair Patricia Avery currently serves as the Executive Director for the Champaign Urbana Area Project and is also the current President and CEO of the Champaign County NAACP. As Executive Director of CUAP, Patricia began the now international Mentoring Young Sisters Program. She also founded the CUperStar Performing Arts and Enrichment Program celebrating its ninth consecutive year. Patricia has been serving in the public sector since 1986. In 1996 Patricia became the first African American woman appointed or elected to a County Office as the Recorder of Deeds. In 1998 Patricia was elected to the Champaign County Board representing District 6, making her the first African American to win a seat outside of District 5. In 2000 the Democrats made Champaign County history by winning control of the Champaign County Board, and so did Patricia when she was elected the first Democrat, the first African American, and the first woman to serve as Chair of the Champaign County Board. During her administration Patricia maintained a balanced budget, passed a living-wage for all employees, eliminated kickbacks to the county from inmate phone calls to their families, and increased the diversity in hiring and on construction projects. Patricia implemented the first Champaign County juvenile intervention and prevention programs from the quarter cent sales tax, the first time home buyer program, and the first Countywide MLK Celebration. In January 2014 Governor Pat Quinn commissioned Patricia to serve as member of the Illinois African American Family Commission where she serves on Budget and Finance, Criminal Justice, and Economic Development committees. Patricia is a native of Champaign. She lives at home with her husband Michael. She has three adult children and loves spending as much time as she can with her five wonderful grandchildren. Urbana City Mayor Laurel Prussing, elected in 2005, was the first woman mayor of Urbana, she has since been re-elected twice to the position. Her previous elected offices include: Champaign County Board member, 1972-1976 (one of the first three women elected), Champaign County Auditor, 1976-1992 (first Democratic woman elected county-wide), President, Illinois Association of County Auditors, 1984 and 1985, State Representative, 103rd District, 1993-1995. Mayor Prussing has a bachelor of arts from Wellesley College; a master of arts from Boston University and has completed all but thesis toward Ph.D. in economics (public finance) from University of Illinois at Urbana-Champaign. Mayor Prussing has public policy interest in sustainable budgeting, education, human rights, environment and health, and transportation and currently serves on the P-20 Commission for Illinois, representing local government and the Illinois Law Enforcement Training Standards Board. Her recent awards include Public Official of the Year Award; Illinois Water Environment Association, 2015. Champaign City Mayor Deb Feinen- A resident of Champaign for more than 40 years Deb is married to Chuck and is mom to Karlee (14) and Catherine (8). She is a local attorney and partner with Tummelson, Bryan & Knox, LLP. Deb is the former vice-chairman of the Champaign County Board having served for 14 years as a County Board Member. 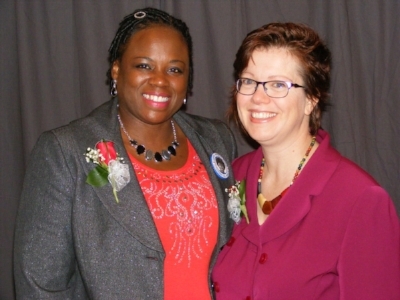 Deb also served as an At-Large Champaign City Council Member from 2006-2011. Deb was elected Mayor of the City of Champaign in April of 2015.